As the competition expands, companies look to live everywhere flexing to perform different roles at different touch-points along the customer journey. They try to connect emotionally with customers to become irreplaceable as well as to create lifelong relationships with them. A flexible and coherent brand design system helps build a brand that is agile, flourishing and trusted by the people. At Clay Inc. we build brands that thrive and stay relevant across the global consumer ecosystem while differentiating themselves and fostering more value in an evolving business landscape. Businesses today are only as strong as their brands and often the intangible value of brand is much greater. Hence brands need to be designed from their core. It is deforming that ensures transformational development through inner values and outer forms. And hence our ideology—‘Deform to Transform’. We love the discipline and change it imposes on the brand and the relationship it creates with the customers to build higher brand value. Cumulation is a process of assembling intelligence in strategy, business objectives, operational parameters, consumer dynamics, competitive initiatives, and market trends (explored and distilled). In phase one we bring an independent perspective to bear on the existing knowledge accumulated through client organization and wider world. Leverage Analysis brings in consumer demographics, insight, target profile, consumer experience and relevance. It offers comprehensive analysis towards creating and reasoning the leverage value of the idea. Amplification starts with relevance. The apparent idea is cross-referenced with its audience and weighed within all the positive and negative parameters of its existence. Yield Value - The idea is then considered for its yielding value; its measured and calculative response towards its audience, which decides its significance and weightage. Our contribution then focuses on three key areas i.e. concept enhancement, creative execution and maintaining sophistication until it reaches its end consumer. MADC has worked with Clay Inc. for our marketing and promotion campaign at Singapore Airshow 2018. It was a great experience working with them. Clay Inc. has also served MADC for India Aviation 2016 Airshow in Hyderabad. MADC had utilized the services of Clay Inc. during the high profile meeting of all Cosul Generals in presence of the Chief Minister. Their timely response and precision oriented work has a long lasting impact on us. We would continue our association with Clay Inc. for our future requirements. We have successfully launched the brands Caressa and Jianna designed by you on may 5th at a Fashion Show. The Brands have received a very positive response and have been highly appreciated for their creatives - right from the conceptualisation, logo design, tags, care labels, innovative packaging and the catalogue design. Thank you so much for everything. It's been a pleasure working with you guys . As mentioned earlier your concept presentations and detailing is truly of international standards. Your positive support at every step, meeting the deadlines against all odds and final execution is par excellence. It's been a pleasure working with you on various brands and looking forward to strengthening this bonding in more creative projects in the near future. Sandeep and Suyog in simple words — none like you. We have been working with Clay Inc. since 2015 and are extremely happy with the association. It is a pleasure to interact with Sandeep and Suyog, who are enthusiastic and passionate about their work. They understand the values and ethos of our organisation perfectly and this translates to a superb end result. We have got innumerable compliments for our annual summer brochures since the past three years. All credit goes to their top-notch conceptualisation and design. Kudos! Thank you Clay Inc, for giving that much-needed boost to our marketing efforts. Honesty of qualitative design and quick and timely response are things which make Clay formidable team to work with. I am quite happy with the way they have designed our brand and taken it forward. We have been working with Clayinc since the inception of our company in 2015. Since then we have done over 80 projects with them. The team has absolute clarity of concept that we transpire every single time. Their real time update and delivery timing are impeccable. We are glad to be associated with such dynamite and passionate team. Sheeba Mirza, Director – Operations & Marketing, Inventicon Business Intelligence Pvt. Ltd. If you need a good brand with formidable identity system in place, consider Clay Inc. The moment we started our discussions with them, it was clearly evident that we had to pick them. For Turista World, they took time and brief in such a way that the first logo they presented was approved by us. From concept to the launch, Clay ensured that the right communication always reached the right audience's heart and mind. Our high regards and recommendation to Clay for all our connects for design and communication work. Vishal Mehta, Director, Turista World Hospitality & Consultants Pvt. Ltd.
We are very pleased to work with Sandeep and his team. They are organised, creative and have great response management. Sagar Mushrif, Managing Director, Inventicon Business Intelligence Pvt. Ltd. I am grateful & thankful to Mr. Suyog & entire team of Clay Inc. for the beautiful work of creating & upholding my new venture PAWSITIVE TAILS. It was a pure professional dedication towards implementing my idea into the design and building a brand image. The most important quality i liked about Clay Inc is keeping my each and every requirement as the 1st priority and giving their 100% thinking that its their own company. Keep up the good work going. And may you have a very successful future. As a SME in the manufacturing sector, we had limited knowledge of the designing aspects of packaging, Clay helped us by understanding our requirements and providing options after indepth discussions, and many options later we had a winner.Our product catalog was well received as well by our customers, thanks to clay we made an impact on the minds of our audience. Wishing them all the best in all their future endeavors! I am Kiran Harwani in the business of Insurance and investments, for the last 15 years. Team Clay Inc. have done a fantastic job in designing our Logo for our brand Legace Hub. From the basic information about how we want our colour schemes to the final product, we are very happy with the way it has been presented to us. In particular, the team has been very professional in building our brand image in a very new region at Virar which was beyond our expectations. I wish them all the best for their future endeavours and will recommend them to my family and friends.All the best. It has been a pleasure working with Sandeep. He has given us some greats insights into marketing and communication. He has helped us in our strategy for marketing. Designing your flyers and brochures is a tedious job because you have to explain a lot to most designers. But not with Sandeep Bakre and his team. One meeting and he delivers more than what you want. Excellent work within the timeframe and with perfection. Bus stop panels / Railway Station Panels etc. Old identity was very complicated and difficult to replicate on various corporate materials. The brand was unable to communicate what brand stood for. We were commissioned to do whole identity system of the brand. We formulated the brand vision on two fronts. People trusted CountrySide for its immaculate service. Customers loved CountrySide people for their warmth and hospitality. hence we designed the identity by collating the initials 'C' for Country and 'S' for Side in such a way that the image looks like a hand locked in a hand depiciting Trust. Identity was simplified to be able to replicate on corporate materials solving the brand problem. CountrySide symbol used as a brand language accross corporate materials. The components of brand identity were precisely measured and built keeping in mind brand touch points and their usage. We developed a brand language ‘CS’ (symbol) based on uniqueness and relevance to Countryside identity.And we continued the same language across the spectrum. Brand language worked well as a result of which, its customers started recognising Countryside through its language and not just its identity. 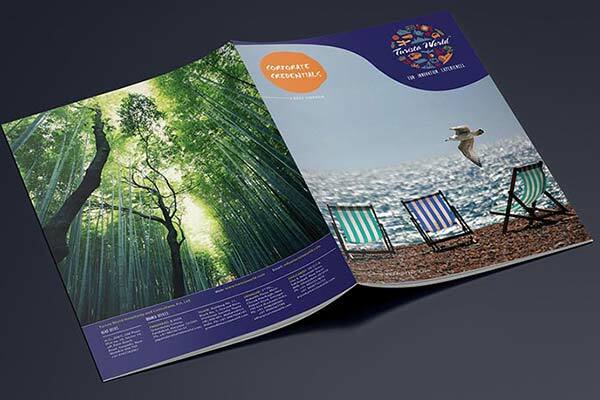 We bettered the brand image and made the brochure more relevant and interesting. The result was a lot of compliments and enquiries from customers. 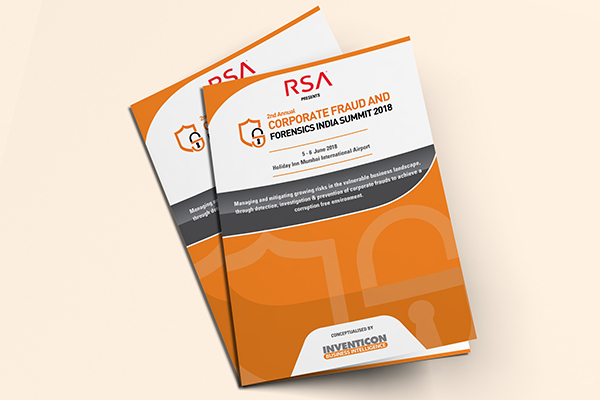 For the second-year brochure, we took customer experiences and testimonials and connected it to the brochure making it more relevant and communicative. The brand language made an impact across all collaterals of Countryside achieving consistency yet coherence which was much needed by the brand. More and more international products were getting added to the brand’s kitty. As a result the brand positioning was elevated to ‘Outlive’ and the entire line of communication was channelised towards it. 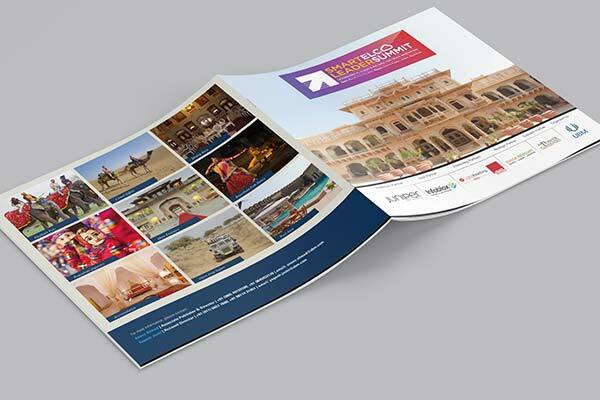 The look of the brochure was elevated and we focussed more on impactful images of international destinations that could interest the audience through its sheer image value. We added more value to the emailers through refined insights that countryside had in its 20+ years expertise. 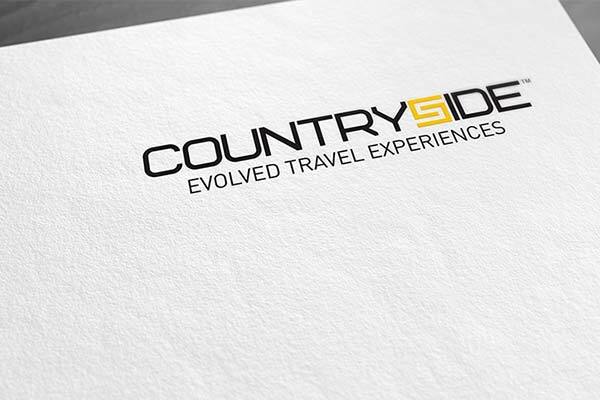 The three year ongoing work with Countryside has changed the perception value of the brand. The brand got featured in various media and TV interviews achieving high mileage and better sell value. Non-impactful communications from the brand. Non-impactful first impression of the brand. Lym was always about a dynamic personality named Mayank Thakker. We translated his dynamism into the brand and made it more vibrant and strong. As a result the colour selected was bright red. And graphics designed were very bold and contemporary. This changed the entire perception value and feel of the brand. The prior communication going out from Lym Technologies was very fragmented. We used the consistency of red colour and converted into a relevant brand language. 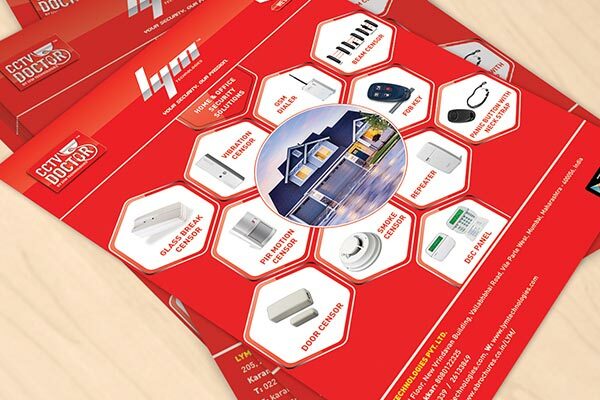 The communications in the form of brochure, leaflets, profile, festive wishes, product emailers, standees all went out with one unified brand language and as a result, people now recognise Lym through its most famous red colour. We achieved the consistency and coherence which the brand was lacking and as a result in the next three years brand turnover recorded its all time high. Lym is the combination of initials. Even if this was the compulsion as a name, we tried to make it interesting by constructing the three letters in such a way, that the brand looked dynamic, fast, and energetic. We believed that for any individual to be able to talk about safety he himself must have that energy in himself to keep things safe. The same went for the brand. With this thought we created the brand called ‘Lym Technologies’. The components of brand identity started from the construction of 3 letters to the sub-name line and finally the positioning, ‘Your security, our passion’. We created the brand language with the infamous red colour, since that was the colour with energy, dynamism and spirit. The trick was in using red colour with a certain percentage along with white and grey. Accordingly we decided it should 80 / 10 /10. Brand language was carried across different mediums like stationery, e-mailers, social media posts, standees, flyers etc. Poor font selection, disorganised and badly constructed symbol was deteriorating brand image of Bhilosa. Our task was to resurrect the legacy that Bhilosa holds through its logo / identity by carefully constructing the elements of the logo. Bhilosa also needed to speak a language of a 100 year old brand and showcase its products at par with the competition.We were commissioned to do whole identity system of the brand. We carefully reconstructed the key elements in the logo namely—typeface and the symbol and placed them in grids proportionately. We improved the product imagery and made it look state-of-the-art. We fixed the colour codes and finally proceeded towards communicating the right stories in the most sophisticated way. 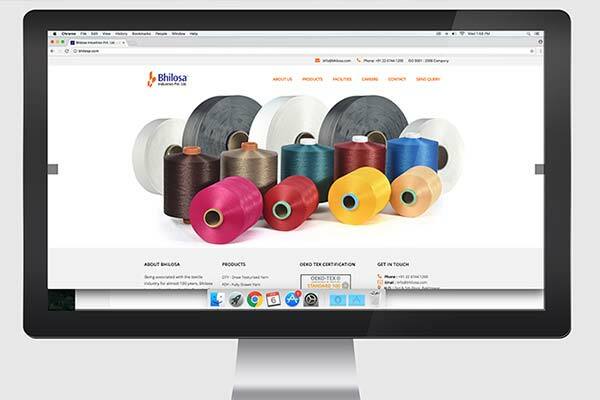 A carefully constructed logo made a huge impact on the brand image of Bhilosa. We carried the brand equity of two colours together and took the brand to the next level. We made sure the right message was passed in the most exciting way and yet kept it subtle and corporate. 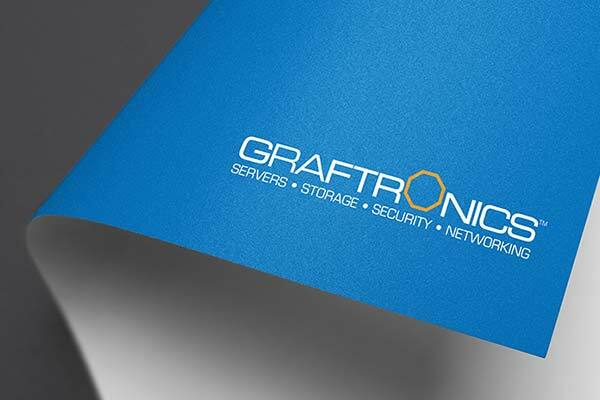 As a 25 year old brand, Graftronics logo / identity did not speak the language of new age Technology. Wrong choice of fonts as well as absence of uniqueness were the points that made the identity looked weak in comparison with the players Graftronics was in competition with. New offerings of the company needed to be communicated with a fresh face. Communicate the vast range of product offerings in a more subtle way, making this as positioning and USP of the logo. A shape such as Octagon communicated its comprehensiveness through Eight corners (Eight directions) so every possible direction, brand could help its clients with professional services. Octagon also worked as a connecting element to each other relating more to network, IT services, servers etc. The new identity changed the face of the company drastically to achieve what we set out to. 'Creating better perception value that supports its products’. The octagon was a right shape to communicate the comprehensiveness of the offerings in all directions, hence it was designed as a symbol for the brand. Taking the Octagon, we drew lines (radii) from the centre, to indicate the vast offerings that brand had. 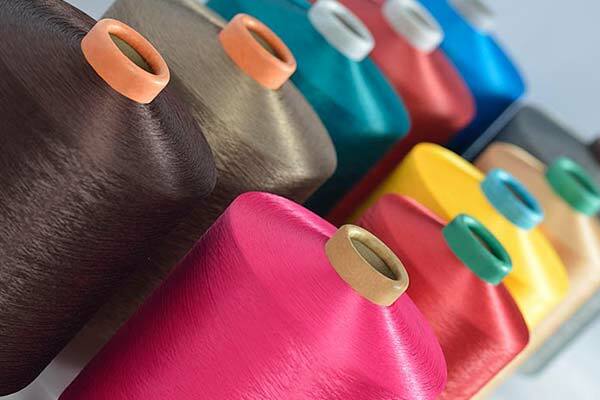 A lot of combination of lines could be made, just like lot of combinations of products could be made for the customer. Brand language—An octagon accompanied by lines drawn from its centre was carried everywhere along with the logo. Also we carried the brand equity of blue colour used in the old identity as a continuation point of the brand. Company profile was designed with more infographics to be able to understand the product line faster, and look of the brochure was kept more contemporary. Product brochures communicated the solution to the pre-existing problem with interesting visuals. Client did not want to change the logo. The logo was not well constructed with proportions of spacing. Brand did not have any positioning. Perception value was not of international standards. We started off with creating a very broader positioning for the brand so that it can accommodate a lot of ideas together. We then reconstructed the logo with proportionate spacing making it uniform across all collaterals. We created brand guidelines to regularise the logo and put its usage into much required discipline. We added a touch of International class to the brand perception by taking their projects and converting them into a very illustrative language of lines. We also worked on the environmental wall communications for their office to present a very international look to both their people as well as their clients. Logo was reconstructed with proportionate spacing keeping it readable even at small sizes. We added the positioning ‘Integrity | Efficiency | Innovation to the brand. We also built brand architecture for using the brand entity in different parts of the world. Selective projects of SDA were converted into illustrative language of lines. This added a touch of class which the brand was lacking. 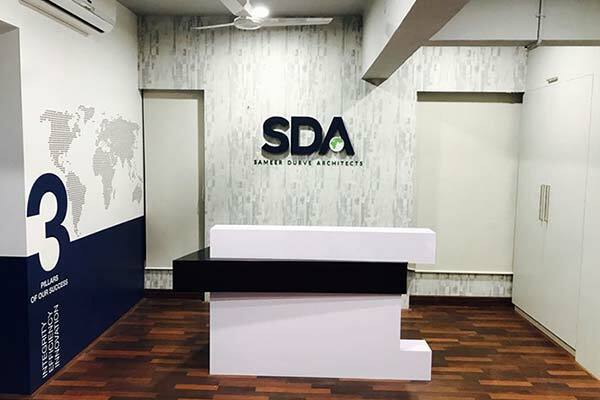 Within the parameters of ‘Integrity | Efficiency | Innovation’ we devised a concept for SDA office where the idea for each space was designed as per the people occupying the space. So a work station space triggered ideas for architects, while Directors cabin talked about bigger ideas like ‘Circle of life’. We had to use the same logo and improvise on concept part to create a corporate brand image. We realised that Royal Micro through its products was promoting water and nature conservation. We worked closely on water and nature conservation with a blue and green theme that was found in the logo. Every space spoke about two aspects separately—viz. water and nature conservation through quotes, graphics relevant to the people occupying the space. A travel brand that needed to look colourful among the clutter. And yet explain all the important aspects of travel put together in the most creative way. Also the brand was targeting world travel hence that idea of the world had to come in the logo. The brand had to look very casual. We created a combination of multiple 28 icons combined in a logo. It made the logo achieve the idea of separating from clutter in the most creative way. The icons were arranged in a circular format to denote the world (globe). All the icons were rendered in 9 different colours creating a big impact—not too noisy an dnot too subtle. The brand got its feel of ‘being casual’ through it. Elements of travel come together and form a very unique identity that stands apart in the competition. Care was taken to construct every icon in its rightful place, so that the collection of icons does not become very crowded. The font used was very casual and gave a feel of joy and free flowing spirit of travel. Brand language allowed us a lot of freedom to use icons across collaterals, to make the brand look fresh every time we see it. Icons became a very big part of the language for Turista World. We used the combination of Prussian Blue to reinforce a strong impact of the identity across the mediums. The company profile spoke in detail about the packages, carrying the same casual theme throughout the brochure. Brand credentials spoke about the details of the company such such as vision, goals, directors etc. in the same brand language which made the credentials seem very different. Client was using old design for a long time, hence perception value of the brand was very weak. Fragmentation using any fonts for the logo was a big problem, hence consistency was lacking. The look of the packaging was oversimplified and did not present any fresh image of the brand. Company profile was not upto the mark. It lacked character. Product images were very weak and did not engross the user into buying the product. We standardised the identity system by keeping the fonts consistent for all three brands—Toyomite, Mitutoyo and Toyo. We changed the look of the packaging keeping in mind the current trends and keeping design relevant to the concept of horn. We redid the photography of old as well as new products and improved the value each image projected. As a result, people started seeing the quality of products through fine imagery. Finally we improvised the literature used for the profile by keeping only relevant information and pictures that elevated the new company image is a very different way. Construction of 3 logos and putting them in a systematic format brought in the required consistency. Professional photoshoot improved the value every product. The initials of the existing logo, ‘SB’ were confusing. It needed to be made simpler. Since our scope was only logo reconstruction and website we stuck to the task. The old website was very outdated, static and had very little impression of how big the brand SB ispath was. Further, since the website was non-responsive, it became very difficult to see the website on mobile or a tablet. We simplified the initials and arranged everything in a proportionate grid so that the brand may not face any technical difficulties in the future. We created initials in such a way that they we compatible to be placed on the website. We revamped and made the website responsive, easy, clean, fast, and current. We understood the brand perception and translated the same in the website. Simplification of initials of the logo, making it more legible to the audience. Revamping the website and making it responsive and compatible to all devices. 3 important fronts needed to be incorporated in the logo. Women Empowerment through social cause. We had to work on three important principles together to create an identity which had to look fresh and inviting. We created a combination of two images—A woman enjoying freedom + effect —a Woman can have on the world. It brought out woman empowerment aspect, social cause and feminine side wonderfully well. Brand launched in Bangalore with a hugely successful event. The brand has become synonymous with the pulse of feminism as well as fashion. Women empowerment, feminism and fashion all came together to form a distinctive identity. The identity was constructed precisely keeping in mind all the possible mediums where brand would be used. It was made in horizontal and vertical format too. Brand logo was a powerful emblem. We used it and the green colour to define the language and take it forward. Care was taken to present women (models) in their most beautiful form when we devised the concept of women empowerment. Our core message in the Advertisements carried the same idea. We build a launch Event for the brand where we invited dealers to introduce them to a new brand coming into the market. The orders for the brand were flooded and the brand got its due recognition. To create an identity of a cafe which is very very formal in nature. The identity should not be very loud and colourful. It should be very subtle and corporate. The identity needs to be registered in the minds of people as a hangout place. We devised a positioning ‘ Let’s Klatch Up’ and worked around the same to deliver the core message. ‘Hangout Place’. We designed the identity like a coffee cup and we established varied connections between the letters to denote a hangout connection. We created a brand language pattern from the logo and used it a most interesting way across the mediums like stationery and menu card. The pattern became a very likeable element in the Cafe Klatch design. The term, ‘let’s Klatch up became popular very fast and brand was instantly recognised differently from the competition. The connection lines, the cup shape all added up to a very unique identity. Brand Language pattern was replicated in the most beautiful form along with the positioning, “Let’s Klatch up” which was an instant hit. To design an event which does not feel overpowered with information and learnings in the environs of five star properties. Making the CEO’s and CFO’s of telecom industry, experience a different culture as well as helping them learn in a most lighthearted and ‘Fun’ way. We understood that the environment of the event venue is going to make a huge difference to the event and that itself is a great way to market the event. We chose beautiful environs of Rajasthan, a place called ‘Chomu Palace’ for the event. This place had an aura of living like a Maharaja in a Haveli and gave out a very heritage look to the whole event. We designed a colourful logo in the reddish magenta palette of Rajasthan culture complimenting our design with the venue. We then used heritage shapes to design all the collaterals of the event adding to the flavour and ultimately making the event a huge success. The logo was designed keeping in mind the environment of the place the event was held. The logo complemented very well to the place. The design of all the collaterals worked well with the flavour of Chomu Palace, making the event, a grand success. Copyright© ClayInc - All Rights Reserved.